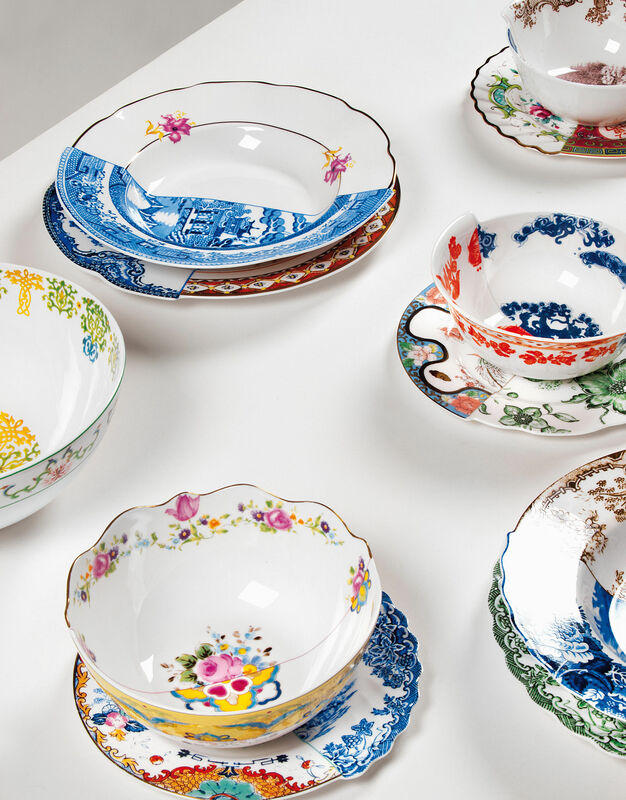 Characteristics : Refined by hand - Sliced in half decoration - Dishwashersafe - Hybrid collection is handmade : Slight variations may occur from one product to another (irregularities, differences in color, etc.). 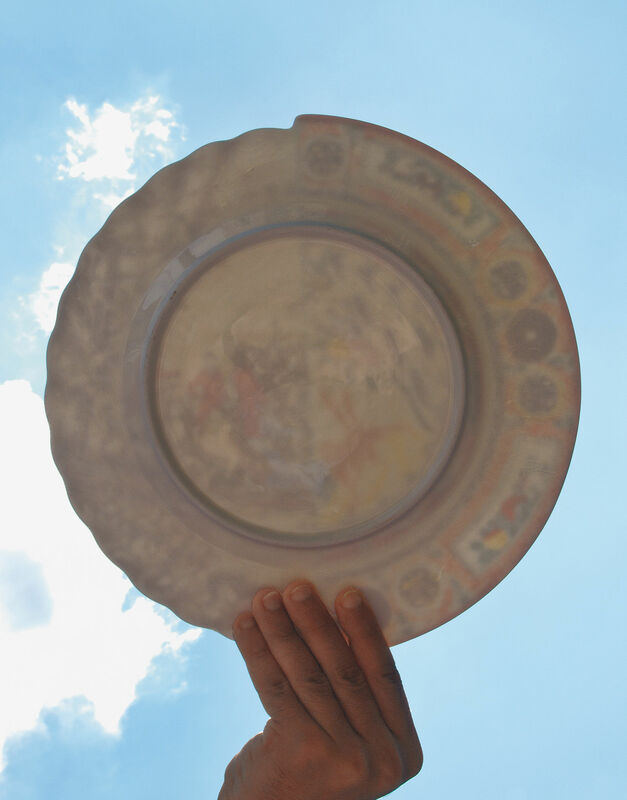 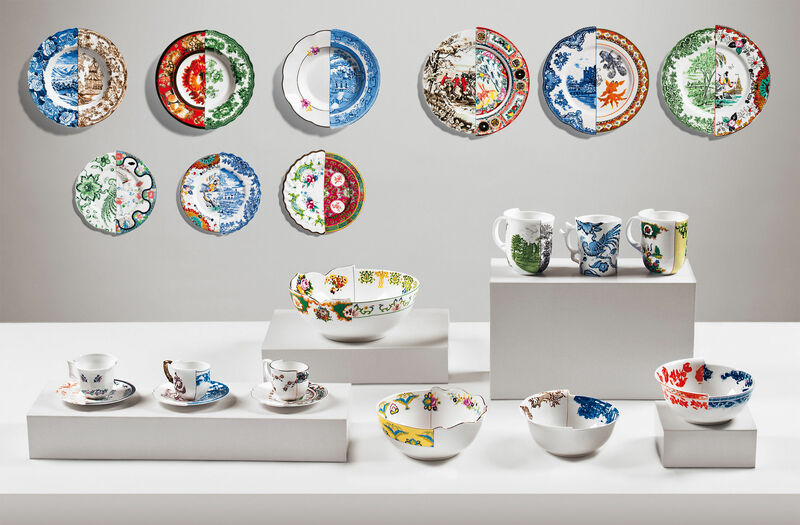 This dinnerware project designed by Ctrlzak collective reflects on the historical production of Chinese and European Bone China and its centuries of fertilization between western and eastern aesthetics. 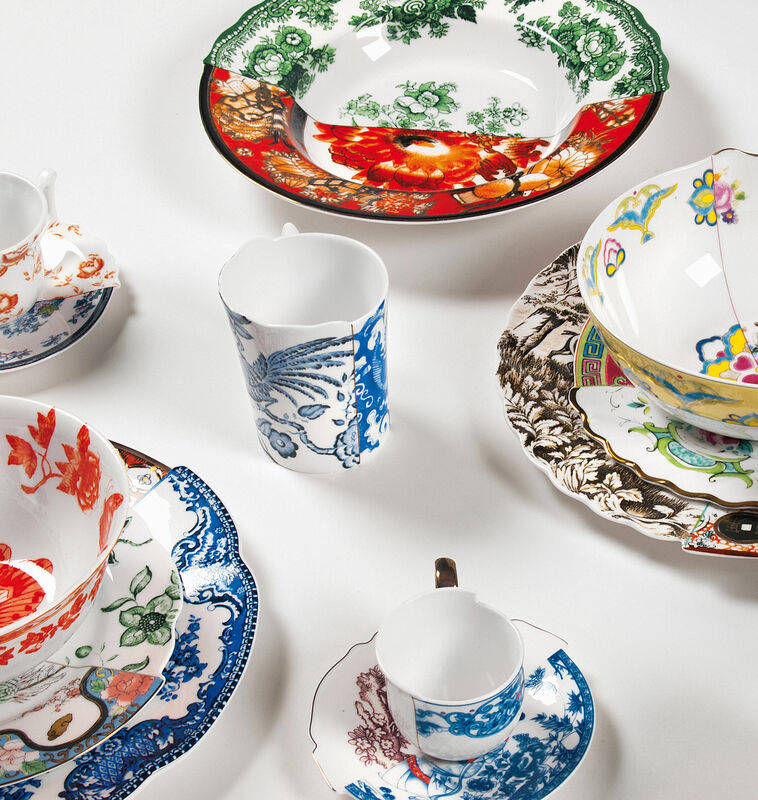 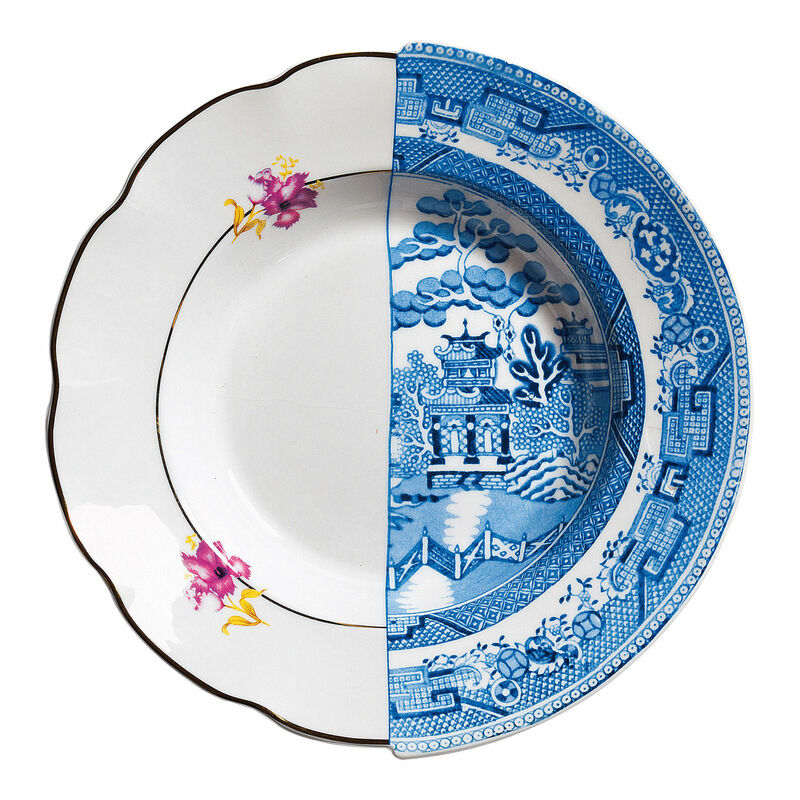 Produced in Tangshan, the renowned "capital of Bone China, refined by hand, the piece decorations are sliced in half, creating new hybrids that juxtapose scenes and themes interpretated in the respective cultural imaginary. 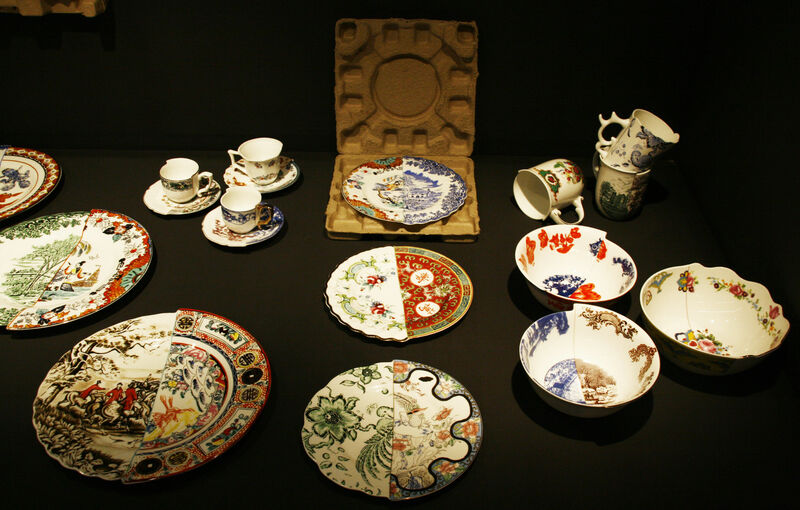 Bone China is a type of porcelain that is composed of bone ash, feldspathic material and kaolin. 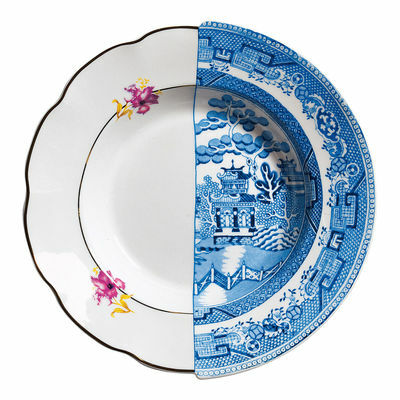 Contemporary forms to symbolize a complex past.